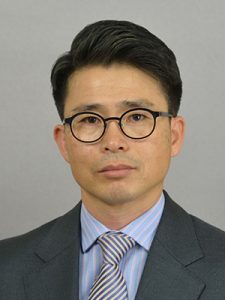 DoKyoung “D.K.” Lee is an associate professor of biomass and bioenergy crop production and an extension agronomist in the Department of Crop Sciences at the University of Illinois. He has an extensive educational background in crop production, perennial grasses, soil science, and international agriculture. 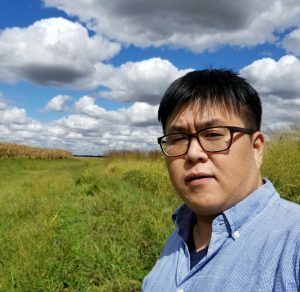 Dr. Lee’s research focuses on advancing perennial grass production systems for sustainable biomass and bioenergy feedstock and improving ecosystem services. He works to improve the genetics and abiotic stress tolerances of perennial grasses and develop best agronomic management practices for integration of perennial grasses into our current row cropping systems to improve sustainability and ecosystem services including water quality. Colleen is a research associate at Argonne National Laboratory. She holds an MS in Environmental Biology from Governors State University and a BS in Environmental Science and Biology from Monmouth College. 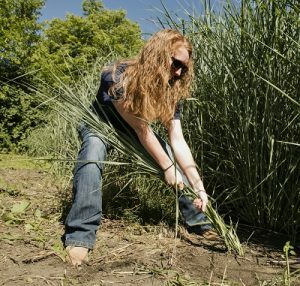 Her research includes a focus on water quality and bioenergy production in agricultural landscapes, as well as the evaluation of plant response in water limited environments. 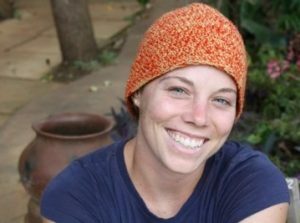 Her research interests include land management impacts on ecological systems and community ecological dynamics. Danielle has a BS in Crop Science from the University of Illinois. She is currently a master’s student and a MINDS in Ag Fellow. Her research focus is plant breeding and development of perennial energy crops. Other research interests are to develop the best product to meet consumer needs and to play a part in alleviating issues connected to world hunger. Soo-Hyun is a postdoctoral research associate in the Department of Crop Sciences at the University of Illinois. He received a PhD in Crop Science and Biotechnology at Seoul National University, Korea. Dr. Lim’s research interests include agronomic and physiological responses of crop and bioenergy crop in various environmental conditions, ecological cropping systems in agricultural landscapes, and weed management in agricultural fields. His research focused on phenology changes of perennial plants by climate change and effect of multifunctional perennial buffer strips in reducing the nutrient loss from agricultural fields.